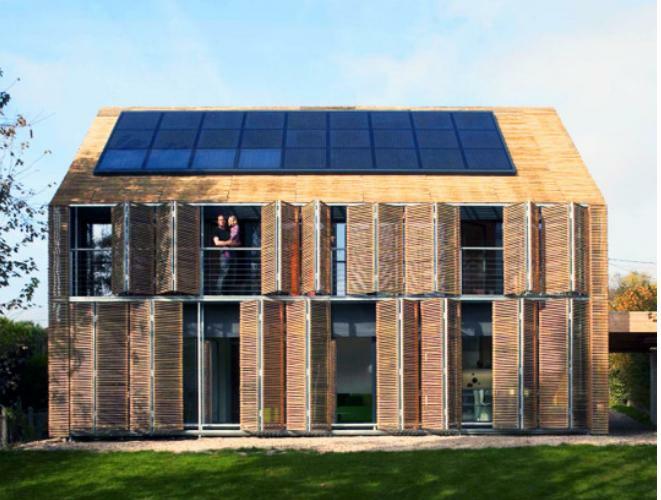 This house built to Passive House Institute standards in France has a very unique shading structure made from hinged bamboo shutters that can be used to shade the full south face of the home. The home has a number of other energy saving features, but the shading structure seems very unique. The shutters are set off from the front face of the house enough to make a veranda.